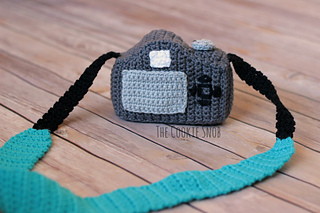 This cuddly camera is a realistic, life-sized, DSLR-style camera. 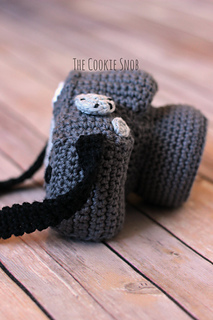 Its 3D shape includes elements such as popup flash, lens, and grip and it has cute decorations like buttons, a viewfinder, and a screen. And, as an extra fun feature, the settings dial even turns! 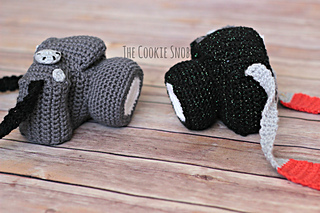 With lots of possibilities for customization, this pattern is perfect for kids or for the camera aficionado in your life. I used I Love This Cotton! Yarn for mine, but any worsted weight yarn will work. 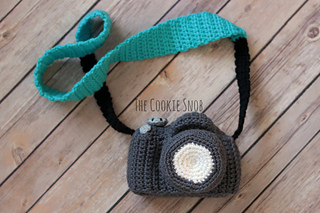 You’ll need less than 1 skein for the main camera body color and for each of the accent colors. 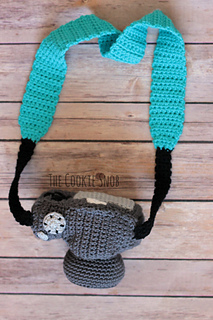 I used a size F (3.75mm) crochet hook, but you can easily change the hook size since gauge doesn’t matter much for this pattern (just make sure your stitches are tight enough to hold in the stuffing). You will also need some stuffing, a tapestry needle for sewing, and a single safety eye (~ 10mm) if you want your settings dial to rotate (an alternative, non-safety eye version is included in the instructions as well). Stitch markers are useful for the assembly process, but are not required. This pattern is written in US terminology and includes step-by-step pictures and helpful hints to guide you through everything. 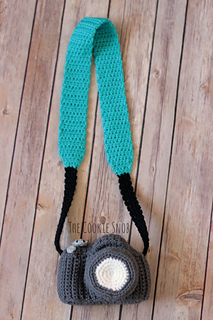 The pattern uses only basic crochet stitches, but is intended for intermediate level crocheters and above due to shaping techniques. 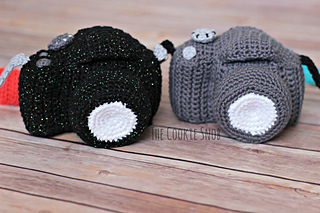 A special thank you to my wonderful pattern testers Julie and Kimberly for their invaluable feedback!